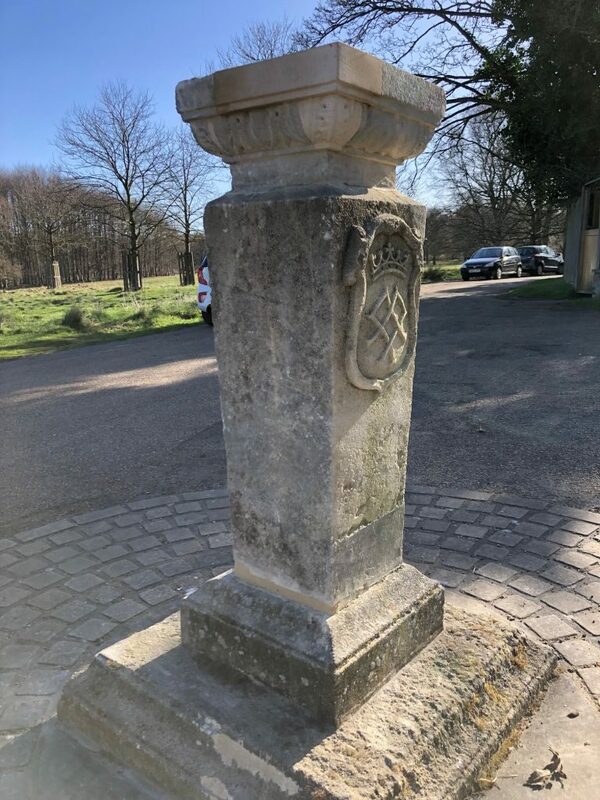 A lorry delivering to some of the homes in Richmond Park had backed into a 17th century sundial podium and knocked it over. 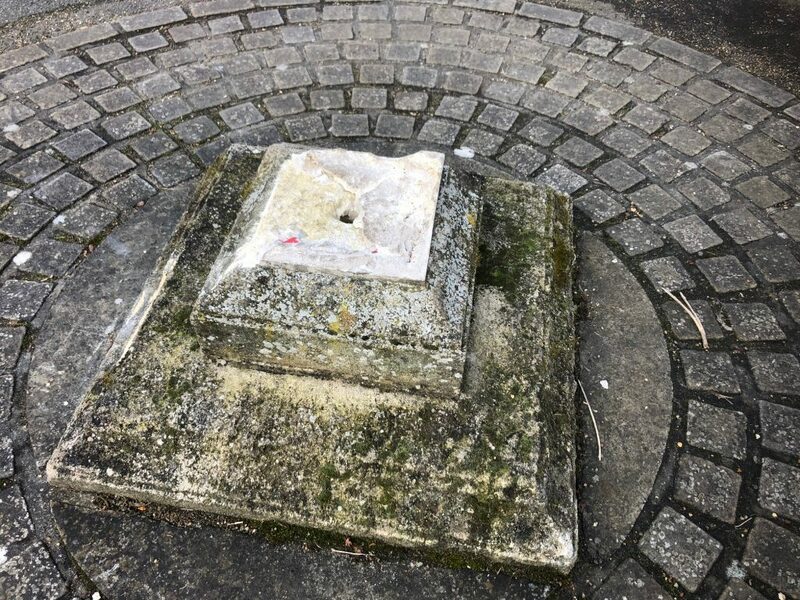 On doing so it revealed that the sundial had been repaired more than once during its lifetime and one at least one occasion not that sympathetically. 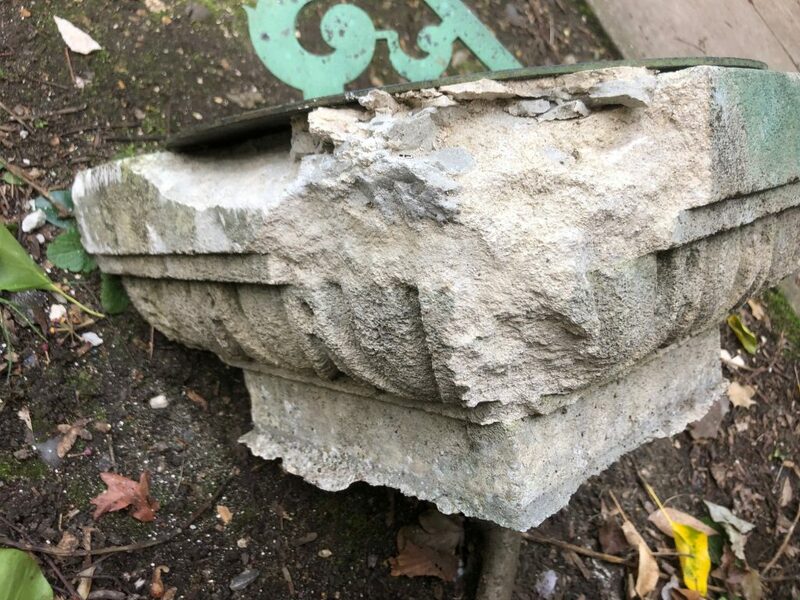 The stem had been knocked off and the decorative head bashed off with some damage to the egg and dart and acanthus leaf embellishments. The capital smashed and in a poor state. The base. Oddly there was no glue or mortar in the hole for the pin. I actually really like jobs like this. I like the accuracy of the indents and the carving. So I indented new stone into the cap and carved the patterns to follow the original. 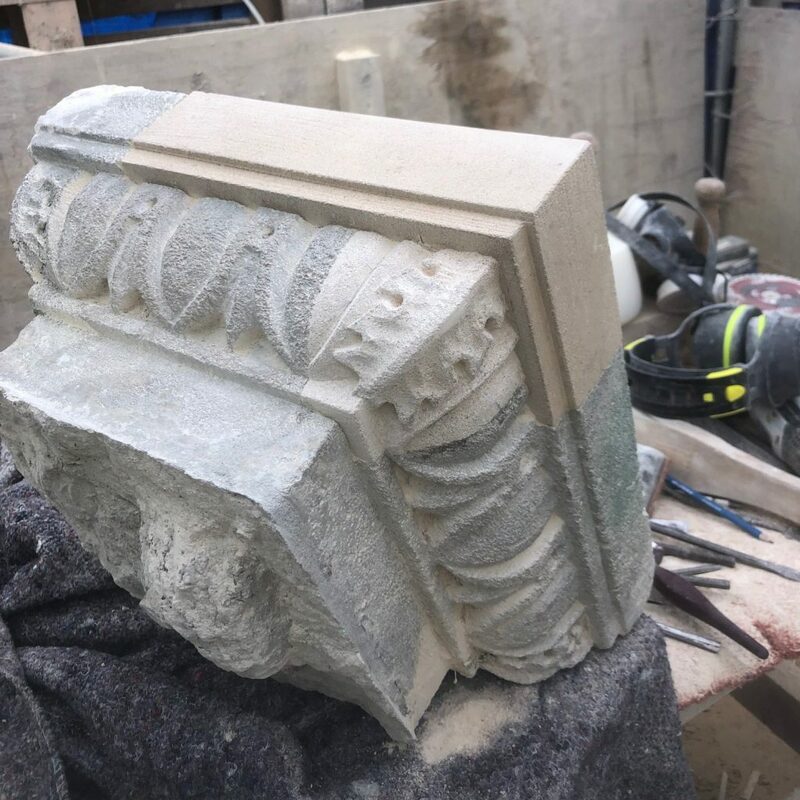 Using a lifting apparatus and a block and tackle we lowered the stem part of the stone into the new hole using chemfix to get the strongest fix possible for the pin and used epoxy resin for the base, leaving the edges for lime mortar.